Welcome to a special holiday edition of Music Friday when we bring you fabulous songs with jewelry, gemstones or precious metals in the lyrics or title. 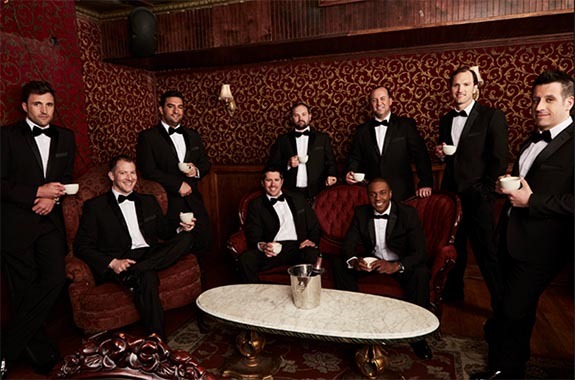 Today we present one of the most popular Christmas tunes on YouTube — Straight No Chaser’s clever mashup of “The 12 Days of Christmas.” To date, the original version of a cappella group’s “12 Days” has been viewed more than 22 million times. “The 12 Days of Christmas” appeared at the eighth track from the group’s debut studio album, Holiday Spirits, which peaked at #46 on the U.S. Billboard 200 albums chart.